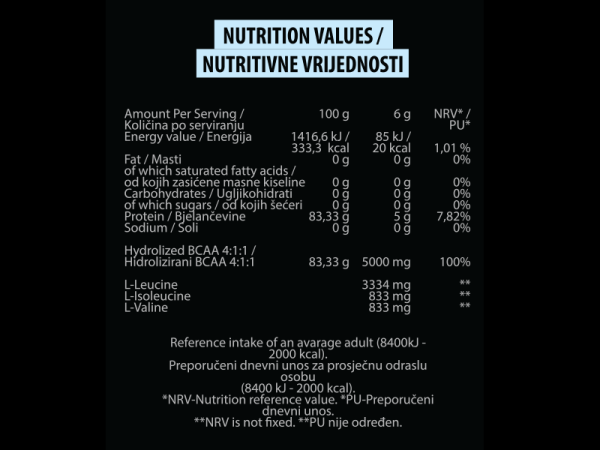 BCAA instant represents 4: 1: 1 amino acids that protect and restore muscle and also have anti-catholic effect. Made in a cautious manner of fermentation, without chemicals. BCAA is dissolved in water, does not burn and has a fantastic flavor! Suitable for vegans and vegetarians. 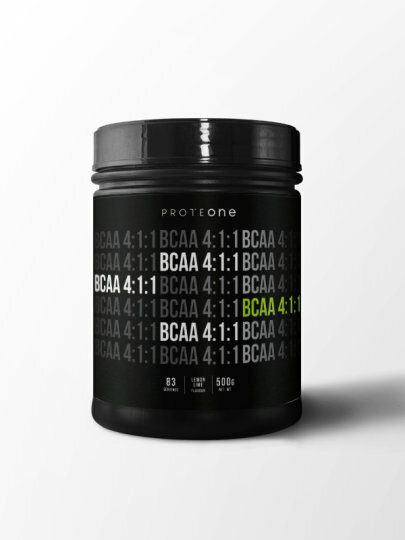 BCAA is actually a branched chain of amino acids, L-leucine, L-isoleucine and valine obtained by fermentation at an optimum ratio of 4: 1: 1. The human body can not synthesize these essential amino acids and that is why they need to be added via diet or dietary supplements. Add the desired amount of water to the shaker. Then add 6g of BCAA, shake it and ready for consumption. For optimum effect once a day.